Last week Australias largest trade fair for manufacturing industry was held in Melbourne. Parallel to the event, it was also the Inside 3D Printing conference held at the same Conference and Exhibition Centre. 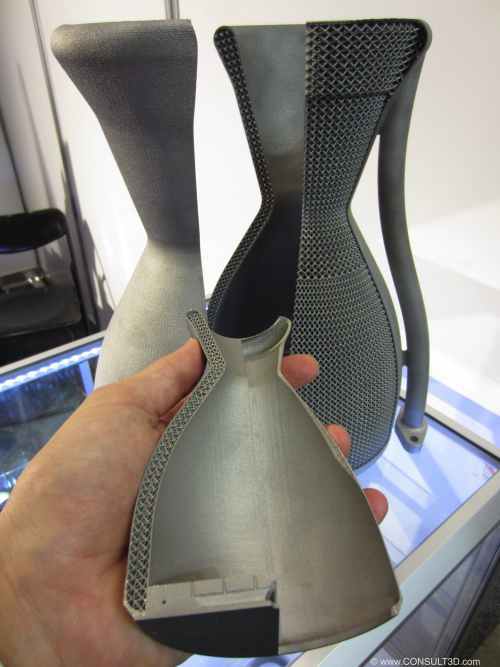 So it was great to see more exhibitors in the field of Additive Manufacturing [AM] / 3D printing area as at the show two years ago. Interesting in particular was the fact that a few new players in the AM market were exhibiting. TRUMPF represented through HEADLAND had their 3D Laser Metal Fusion TRUPRINT 1000 at the show. It is a very compact machine, ideal for dental or jewellery applications. The machine was operating (video) what was good to give the visitors an instant understanding how the technology is working. DMG MORI presented parts of their LASERTEC 65 system. The machine combines Additive Manufacturing in form of Laser Metal Deposition with 5-axis CNC machining. That’s why these machines are often called ‘hybrids’. 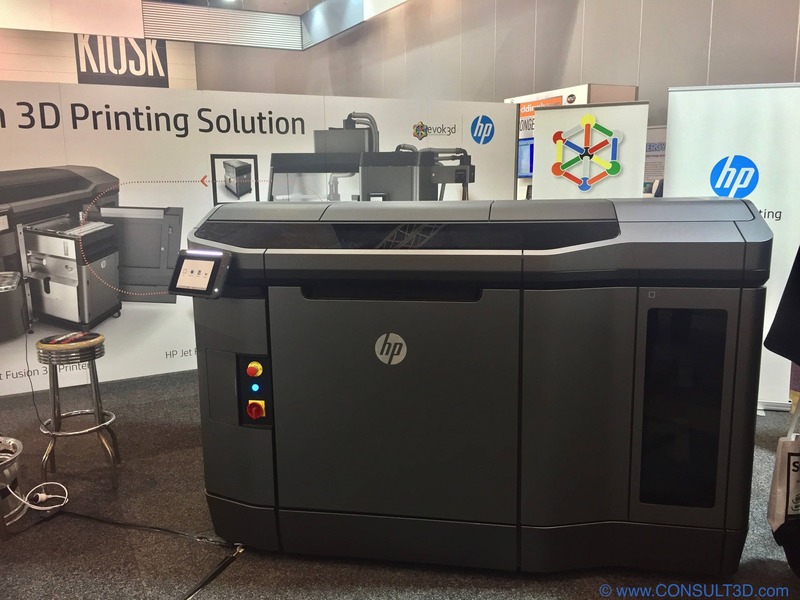 Despite the acquisition of RALIZER GmbH and the roll-out of the LASERTEC 30 SLM system, there were no announcements of a market release of this machine in the ANZ region…yet. ROMAR Engineering who is operating one of the LASERTEC 65 systems was also exhibiting at the show. 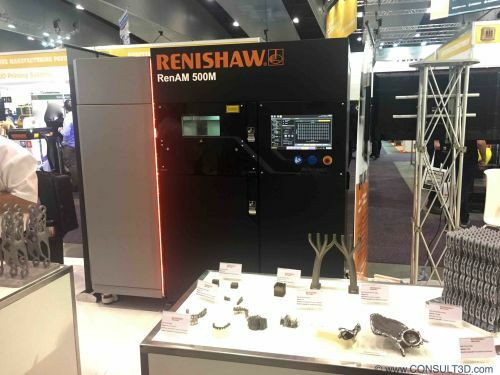 Of course also on the show floor were Renishaw, 3D Systems, ConceptLaser and SLM Solutions. Electro Optical Systems (EOS) the market leader was not present. Renishaw was the only other vendor besides TRUMPF had a system at the show. On display was the RenAM500 systems together with a good variety of applications and also Renishaws’ metrology solutions. So much about direct metal but there were far more AM vendors at this year’s National Manufacturing week. HP had their Jet Fusion technology on show. The technology first presented last year is capable of competing with low batch injection molding to make end-use polymer parts. But, offering the advantage of making an individual part with every single piece produced. 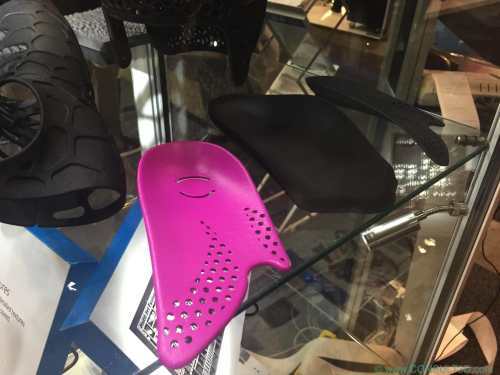 So a very interesting technology very interesting when it comes to any customised parts and medical patient-specific parts like knee orthoses or even running soles. See the Jet Fusion process in this video. Objective3D showed Stratasys Fused Deposition Modelling and Objet Polyjet system and also Makerbot could be found at their booth. No real breaking news in this area. Of course, there were also plenty of Ultimakers and other Extrusion printers at the show. 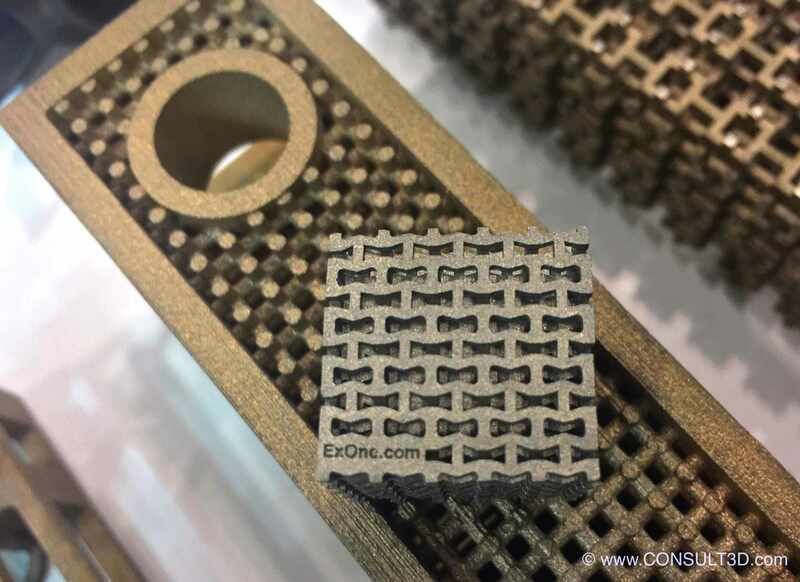 ExOne promoting their powder bed binder injection technology which is mainly used for the production of casting patterns but it can also be used to create metal parts in two step infiltration process like the parts below. Beside the OEMs were also service providers highlighting their capabilities. Especially two from New Zealand are newsworthy. Zenith Technica is operating three electron beam fusion systems from Arcam Group in Auckland. The company is making parts for satellites, medical devices and components for oil&gas as marine industry. Trent Mainwaring explained that the company is now certified according to ISO 13485:2003 and ISO 9001:2003 and further has now all systems upgraded to the latest Plus-status. The upgrades are allowing very fine build resolution when it comes to EBM technology. 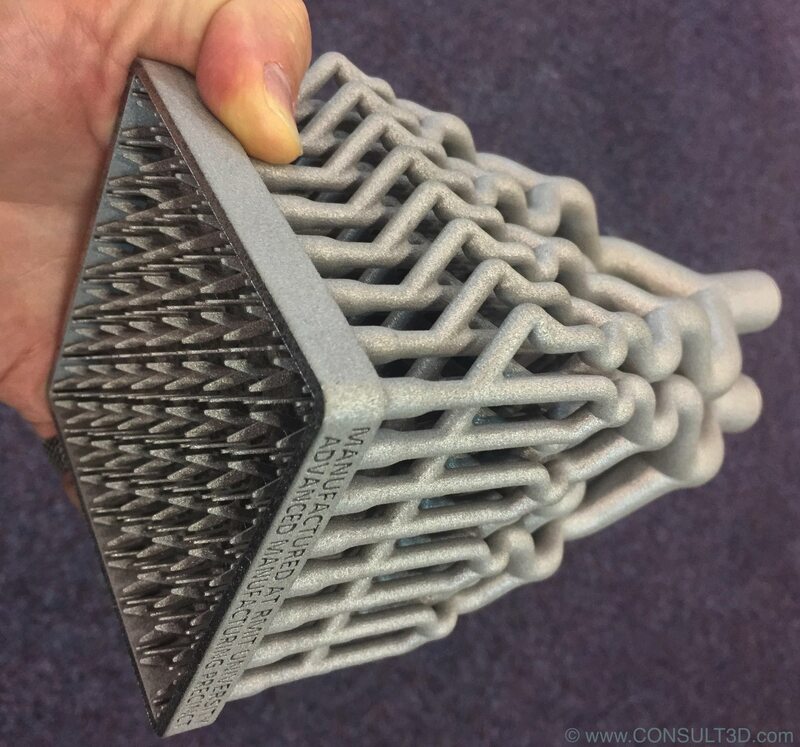 Who has followed this technology over the last 10 years can tell what kind of progress has been made when it comes to improvements regarding the geometrical resolution of EBM parts. 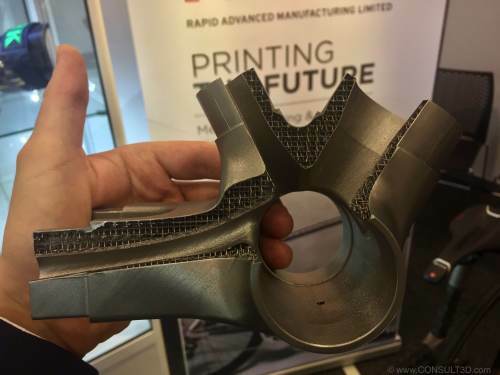 Another Additive Manufacturing service bureau from New Zealand at the show was Rapid Advanced Manufacturing (R.A.M.)R.A.M. 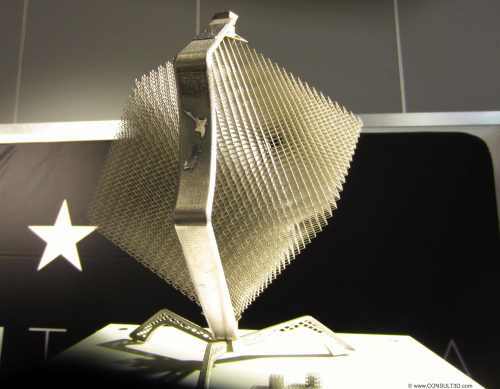 is operating six Selective Laser Melting systems from RENISHAW, SLM Solutions and EOS. The absolute eye-catcher at the booth, I would say at the whole show, was a road-bike from Bastion-Cycles a Melbourne based company. The bikes fro BASTION are custom tailored like a fitted suite. 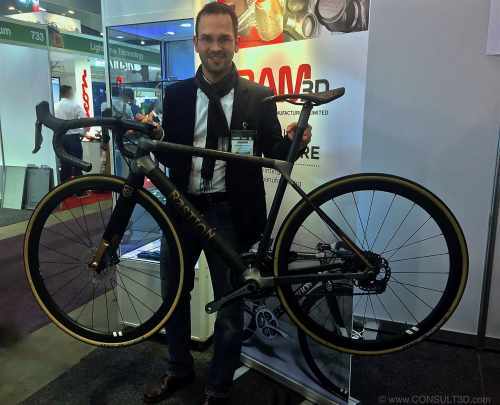 Made of carbon fibre tubes joined in additively manufactured titanium lugs, these frames have no gramme to spare lowering the total weight of the frame of just 1000 grammes. The third metal AM service bureau worth mentioning is AMAERO from Melbourne. The company is operating DMLS/SLM equipment from EOS and ConceptLaser as well a blown powder TRUMPF system. 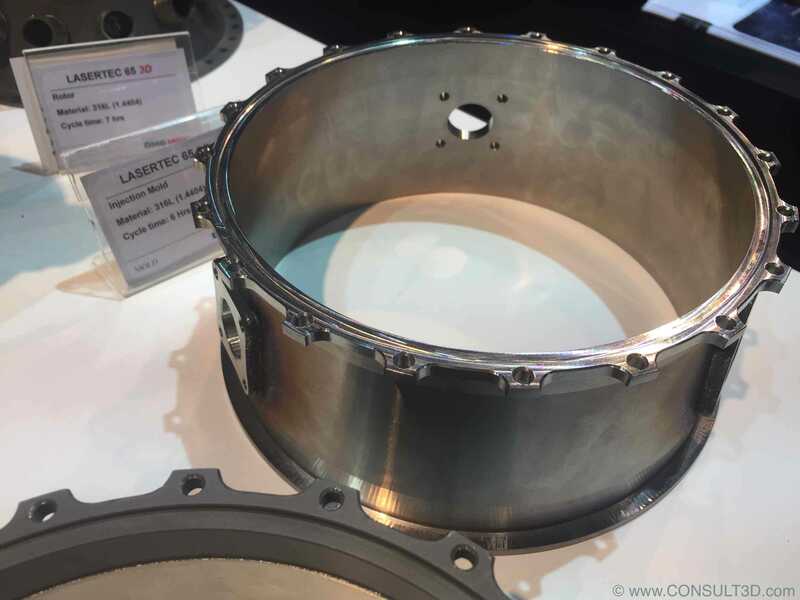 This demo rocket engine/thruster parts showed were made of Hastelloy X, a high-temperature stable nickel base superalloy. AMAEROs X line 2000R system is running on Aluminium also making parts predominantly for aerospace customers. The X line 2000 is not an easy system to operate but this is the feedback you can get about pretty much any large format SLM / DMLS systems in the market right now. The Inside 3D Printing Conference had a good mix of expert speakers from the 3D printing industry as from academia. 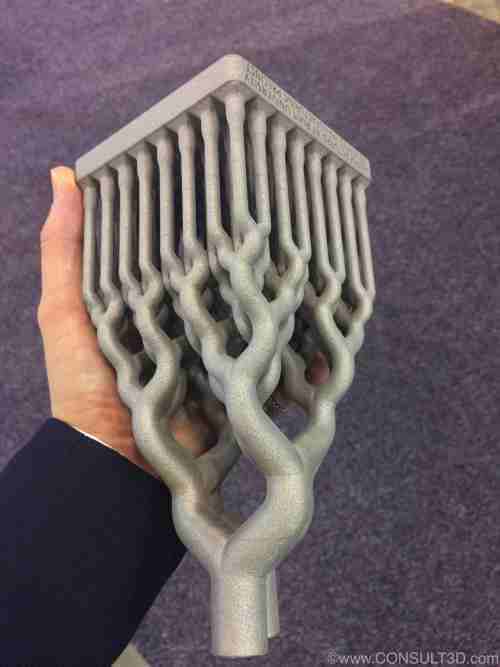 Discussion panel: Is 3D printing part of the new industrial revolution? The Impact of 3DP on the implant industry in Australia. Discussion panel: Can we use 3D Printing to support the startup community in Victoria?